Includes 12" x 12" plasterers hawk, 11" finishing trowel, bucket trowel and pipe trowel, all with comfortable non-slip handles. 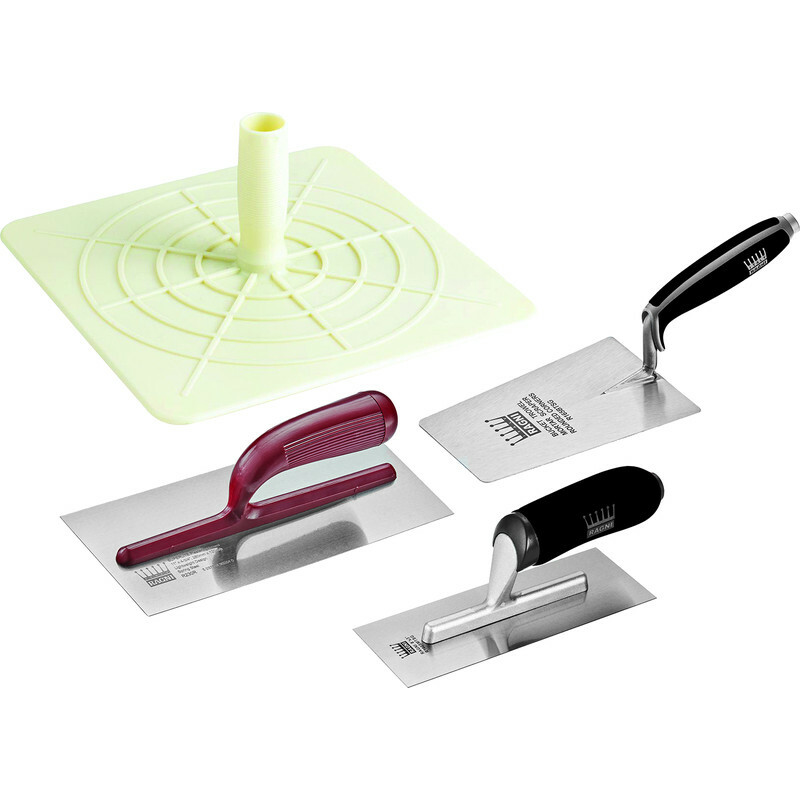 Ragni Plastering Hawk & Trowel Set (4 Piece) is rated 4.0 out of 5 by 2. Rated 4 out of 5 by Bern3666 from Basic set Good value for the novice plasterer to start with.